Legal Aid clients: I accept Legal Aid rates for translation and invoice according to current Legal Aid Guidance. Private clients: I generally calculate the cost of translating your text according to the number of words in the original. My fee will depend on complexity and urgency of the original text. I price each project individually and will always want to view the text to assess my suitability for the project and to provide a quote for you. Prices for translation start at £90/1000 words. If your document is scanned or handwritten and the word count is too difficult to establish, I will provide you with a price per page. A minimum fee of £30 applies to short texts. Legal Aid clients: I accept Legal Aid rates for interpreting and travel expenses and invoice according to current Legal Aid Guidance. 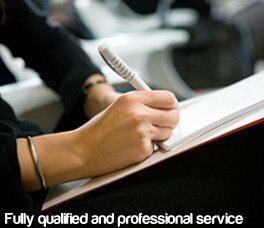 Private clients: I price my interpreting services according to complexity, intensity and preparation required, as well at time spent on the assignment. 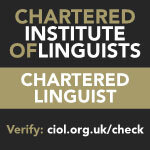 I provide written quotation for a minimum of 2hrs, half a day (4hrs interpreting) or full day (8hrs interpreting). Depending on travel distance involved I may also charge for my travel time and expenses. For MARKET ADVICE, BUSINESS RESEARCH, TELEPHONE INTERPRETING and PROOFREADING I provide quotes per hour of my time and prices start at £35.